The big news this morning is that Ron Paul has announced that he will stay in the Republican presidential race. And that the “Hotties 4 Ron Paul” calendars are sold out–and there won’t be any more printed. Also, that more candidates are running under the “Ron Paul Republican” banner–one just announced in Michigan. 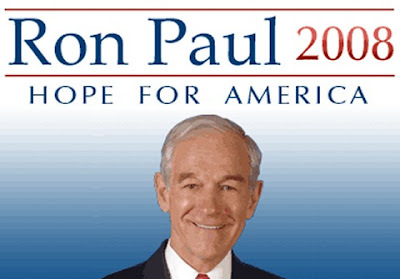 Repeating what he’d insisted: that Ron Paul will stay in the race. Paul won 5 percent of the vote in Wisconsin and 7 percent in Washington State in yesterday’s Republican primaries. He said he believes his unlikely run has attracted others of similar political leanings who want to run for Congress. One such person is Linda Goldthorpe of Michigan. She announced plans to run as a “Ron Paul Republican”. Linda Goldthorpe of Curtis in the Upper Peninsula plans to run in the Republican primary against state Rep. Tom Casperson and conservative Don Hooper, and if she prevails will run as a â€œRon Paul Republicanâ€ against seven-term Democratic Congressman Bart Stupak. An outspoken disciple of Ron Paul, Goldthorpe says she has called herself a â€œpro-life Libertarianâ€ for years. Libertarians were an important part of the Reagan Republican coalition in the 1980s, but with the election of George Bush and the rise of “compassionate conservatism” –politicalspeak for more big government spending–libertarian concerns of smaller government and less government intrusion seem to have been pushed to the back of the Republican national agenda. More on Libertarians, Ron Paul’s congressional challenge back home, and the Hotties. mondoreb@gmail.com. All DBKPÂ storiesÂ are filed under Mondoreb at BNN. 1 user commented in " Ron Paul News Roundup: Continue Race, “RP Republicans”, Hotties "
See the scandal on McCain, Ron Paul’s chances just got a lot better. 7:50EST story broke on MSNBC and NY Times! McCain romantically involved with a female lobbyist, 40years old. Perfect.